Sead Kolasinac is a professional football player who plays for Premier League club Arsenal and the Bosnia and Herzegovina National Team. He is a defender and plays as a left back. He started his youth career from the local club, Karlsruher SC in 2001. He began his professional football career from the German club, Schalke 04. Before joining Schalke 04, he also played for other German clubs, 1899 Hoffenheim and VfB Stuttgart. Earlier, he represented German youth levels. But chose to represent his parents' home-country, Bosnia and Herzegovina. He has won FA Community Shield with Arsenal in 2017 and was included in the Bundesliga Team of the Season 2016-17. 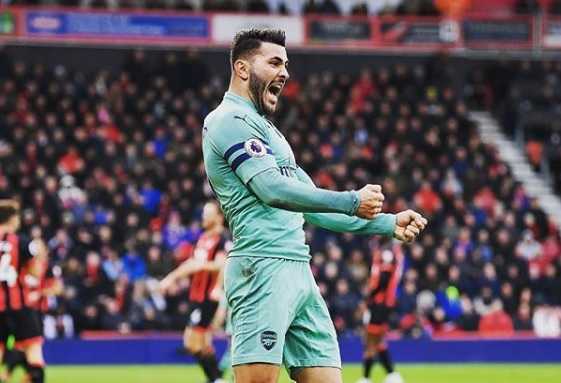 Sead Kolasinac, left back of Arsenal believes the Gunners are improving under the new manager, Unai Emery. Kolasinac is convinced that the Arsenal is now on the course of development, they needed. He stated the new coach has helped them to improve personally, tactically, and technically as well. Emery took the charge of Arsenal after Arsene Wenger departed the club serving the club for 22 years. He can play all the defensive positions very well. He is the fastest own goal scorer in the World Cup history. Sead Kolasinac was born on 20 June 1993 to Bosniak parents. He was born in Karlsruhe, Baden-Wurttemberg in Germany. He holds German and Bosnian nationality. His father, Faik Kolasinac works at a Mercedes-Benz factory. He practices Muslim. His zodiac sign is Gemini. He has a sister named Sabrina Kolasinac. Kolasinac began his youth career from local club Karlsruher SC in 2001, where he played for eight years. In 2009, he joined another German club 1899 Hoffenheim. The following season, he moved to VfB Stuttgart. Kolasinac joined the youth system of Schalke 04 in 2011. Six years at Schalke 04, he has played for the youth system second team, and the club's senior team. He scored his first goal for the club's senior team in a 1-1 draw against FC Augsburg on 13 December 2015. During his last season at Schalke 04, he was voted in the Bundesliga Team of the Season 2016-17. At the end of 2016-17 season, Kolasinac decided not to renew his contract at the club. 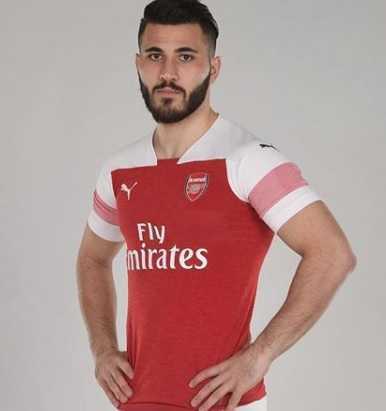 English club Arsenal signed Kolasinac in June 2017 on a free transfer. Kolasinac made a good start for Arsenal, as he scored his first goal for the club in his debut game against Chelsea in the 2017 FA Community Shield. Kolasinac was voted Arsenal's Player of the Month of August and October, as he displayed good football at Arsenal. Initially, Kolasinac represented the German national team at different age levels. He has represented Germany U18, U19, and U20 teams. Later, he chose to represent Bosnia and Herzegovina, the homeland of his parents. He made his Bosnia debut in a 2-0 friendly loss to Argentina in November 2013. He represented Bosna and Herzegovina at the 2014 FIFA World Cup. He became the fastest own goal scorer in the World Cup history after he scored a goal into the back of his own post against Argentina. Sead Kolasinac is reportedly unmarried till date. He has managed to keep his personal life private. Thus, there are not any official pieces of information regarding his personal life. Sead Kolasinac stands tall at the height of 1.83m i.e. (6 feet). He has a body weight of 180 lbs i.e. (82 kg). He has an athletic body build. He has perfectly maintained his body. He has dark brown eyes and his hair color is also dark brown. Sead Kolasinac reportedly earns $2 million annually. As of 2018, his net worth is estimated at around $10 million. His earning comes from salary, endorsement, sponsorship deal, and contracts. He owns some of the supercars including Mercedes, Ferrari, and BMW. He has played for both Germany and Bosnia and Herzegovina's national team. He scored the fastest own goal in World Cup history in a match against Argentina.